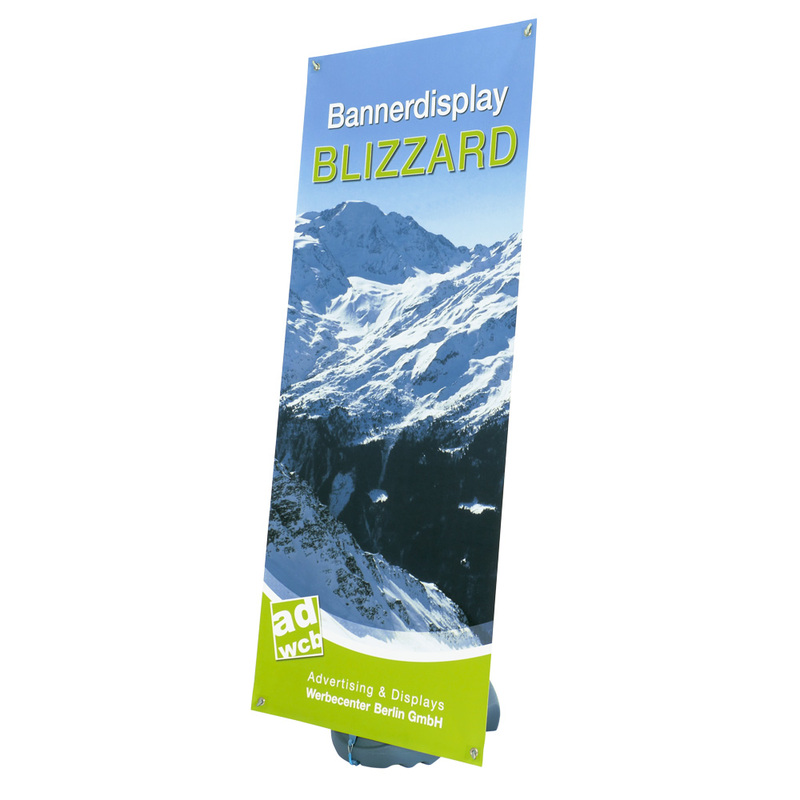 Banner display "Blizzard" is ideal for outdoor advertising for point-of-sales, promotions and places with high public traffic The display and prints are weather resistant. 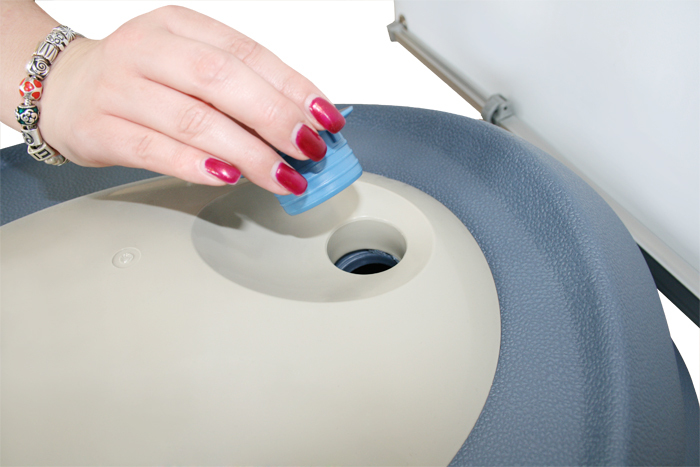 The plastic base can be weighted with sand or water (approx. 15 litres). 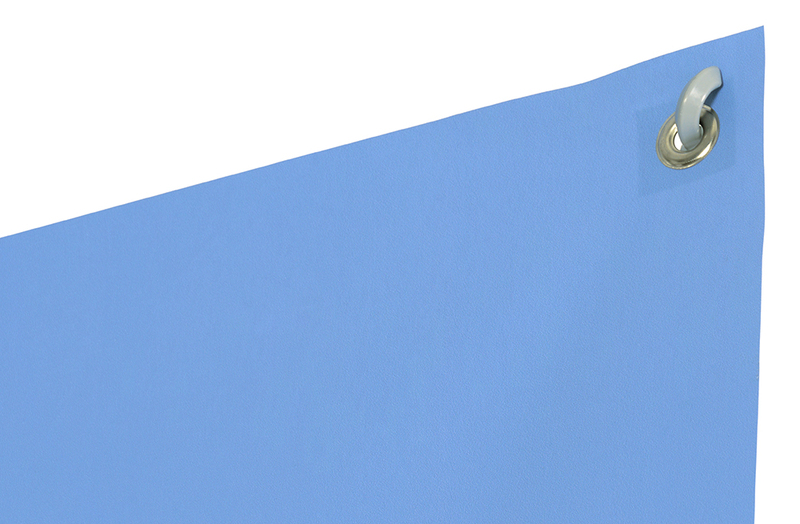 The print produced according tou your file is hung and tightened by an eyelet system. 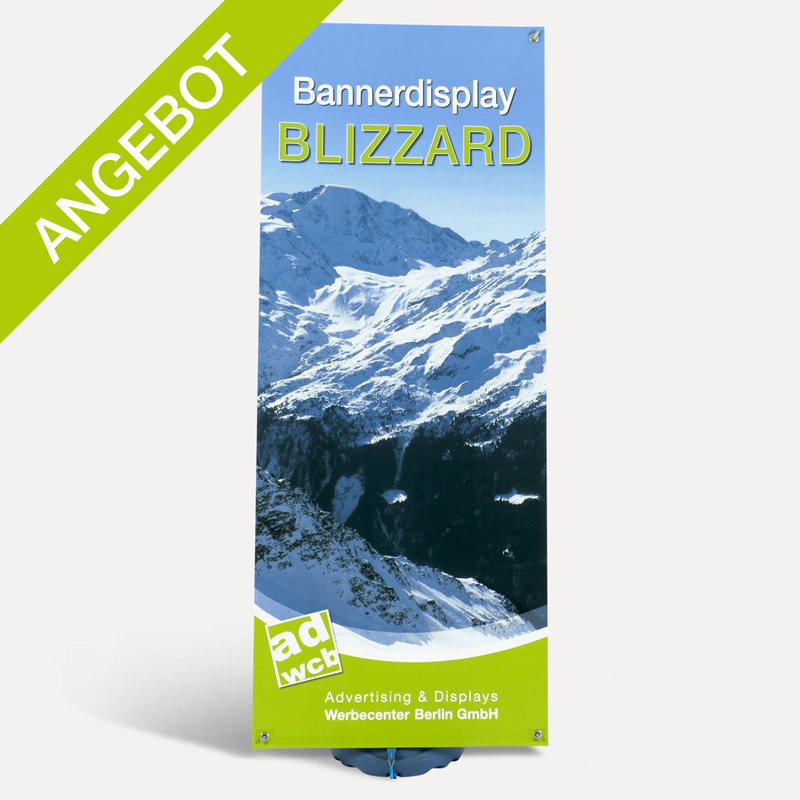 Print including eyelets with free data check in advance and carrying acessory is already included to the banner display. Depends on intensity of solar radiation and place of installation: in average 2 years, in maximum 4 years. In extreme cases, 1 year. 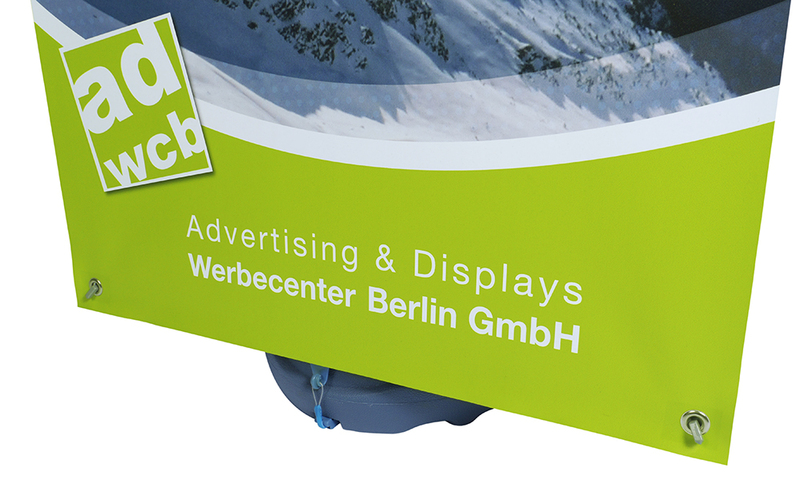 The outdoor use depends on the weather conditions and is left to your discretion. The "Blizzard" system can be used up to wind speed 4 (about 18-24km/h). Warranty claim cannot submitted when handled inappropriately.